I hate hearing people say, “I don’t believe in Valentine’s Day, its just a commercial holiday.” They might also call it “an excuse to sell flowers” or a “Hallmark holiday”. I’m not a big fan of everything pink, glittery, covered in hearts and draped with tulle, but holidays are a chance to have fun with people you care about, enjoy or create traditions, and do things for other people. I don’t think we should deny ourselves that just because companies want to sell products. Valentine’s Day in particular is a chance to delight the person you love. I say “delight” because presumably, you make each other happy the rest of the year. You can argue that delight knows no season, but chances are, you don’t take the opportunity to do so as often as you mean to. – Make a handmade card. Not everybody has Martha Stewart/diy blog post worthy skills; if you don’t, just get some crayons, and let your lack of artistic skills make it endearingly funny. – Make handmade chocolates or a homemade desert. Once again, you might not be Martha Stewart. From The Loft Above posted a simple recipe for chocolate mousse that has two ingredients. – Pick wildflowers. When I was a kid, we would make wildflower bouquets for my mom a lot. I thought that buying flowers was less desireable (much like bringing store bought baked goods) because it made it obvious that you did not go out and pick the flowers. I also didn’t realize that Queen Anne’s Lace is an actual flower name; I thought that my dad didn’t know the name of the flower so he “named” it for my mom, Ann. 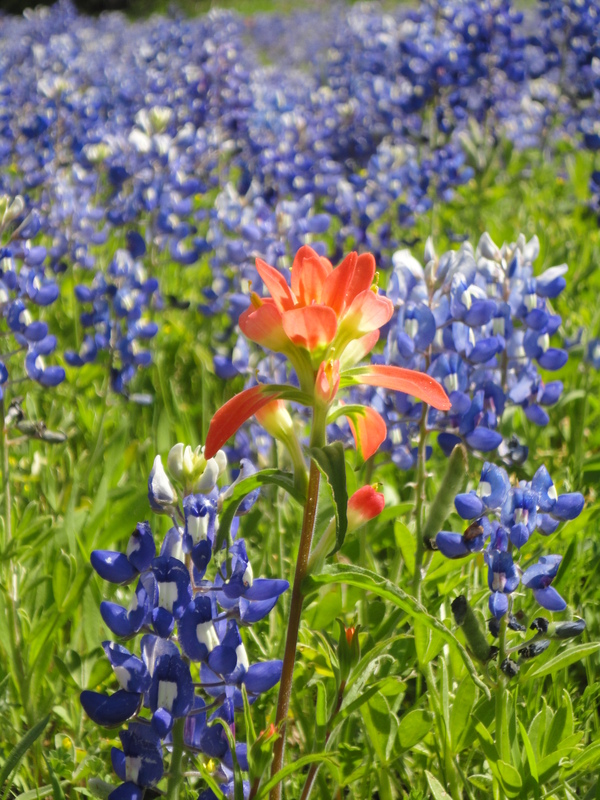 Of course you can only do this for Valentine’s Day if you live somewhere where wildflowers are in bloom currently. – Buy something (gasp!) that isn’t marketed for Valentine’s Day, but is absolutely right for your love interest. For example- there is a ton of seasonally themed candy out there, but if he/she is nuts about 2/$1 gummy bears from the gas station, come home with a basket of 2/$1 gas station gummy bears. 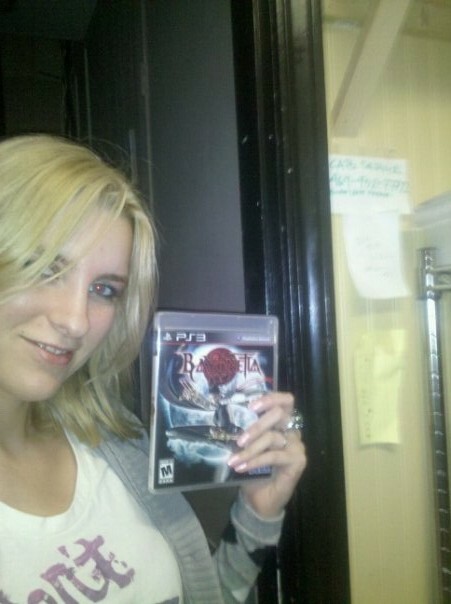 One year Thom came into my workplace on Valentine’s Day with my gift – the videogame Bayonetta. My coworkers were confused, but I was thrilled. – Use your talent. I don’t know what your talent is, so I can’t tell you exactly how to do this. It could be making someone a painting/drawing, cooking dinner, organizing their closet (only if that would be a welcome gesture), writing them a letter, making them a youtube video. If you are a pilot, do like Howard Hughes and take them for a romantic ride in the sky. If you make creepy dolls, make them a creepy doll. If you are a standup comedian, do an entire routine without any jokes at their expense. As I read back over these suggestions, I realize that most of them only work if you have a significant other who you are really compatible with and will appreciate what you do in the same way. If you don’t have that compatibility.. well… isn’t Valentine’s Day a great time to evaluate your compatibility with your significant other? And finally – if you are single – just thank you lucky stars that the chances of someone buying you a burdensome, four foot tall $99 teddy bear are very, very slim. Want to punish your girlfriend for her commercialism? Buy her this. Insist she keep it forever. I decided to write a series of post on love, etc., somewhat in honor of Valentine’s Day. I’m not doing this because I’m a Valentine’s Day super fan or anything, but rather because its easy to write about what I see around me and what it reminds me of. These posts will have varying degrees of seriousness. This is post #3. Pretty sure my cat would love that teddy bear. My dogs would like the teddy bear too, but then one day it would get a small hole, and then they’d string its guts out all over the house. I was wondering about the mousse but then i thought about it, and it should taste exactly like whatever chocolate you used. lol.